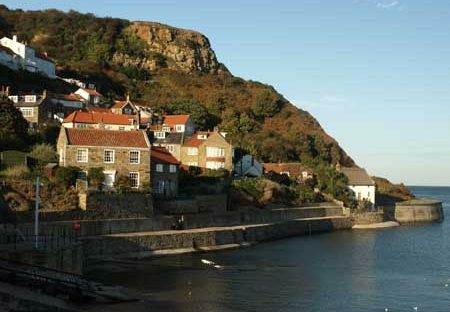 Staithes has a long and celebrated history of art from the 19th century Staithes Group of Artists to the present day.We will be celebrating the art of the village and much more over the weekend of 7/8 September 2019 (preview evening Friday 6 September) when the villagers of Staithes will open their cottage doors to the public as temporary galleries for a selling exhibition of work by resident and visiting artists. Last year we hosted 150 artists in 90 venues. Work included painting, printmaking, textiles, ceramics, jewellery and crafts.Visitors will be able to walk the maze of lanes visiting ‘galleries’ as well as taking part in a programme of guided walks, workshops, talks and film shows. Heritage too plays an important part in the life of the village and will be celebrated in events and exhibitions throughout the weekend. There will be a vibrant programme of music ranging from street buskers to concerts.Food and drink will be provided by the pubs and cafes in the village. Please support them, they are the life blood of the village. The regular cafes will be supported by a number of pop up tea rooms and other food offerings in locations across the village.